Volleyball is a sport of American origin created in the nineteenth century. Known and popular in much of the world, being present in many of the events and international sports tournaments, such as the Olympic Games and the Pan American Games. Practiced both on open and closed courts, as well as practically equal the number of men and women who practice the sport. As in most sports, the main goal is to score points, but its differential is to make the ball fall to the ground crossing the net, thus marking the point. 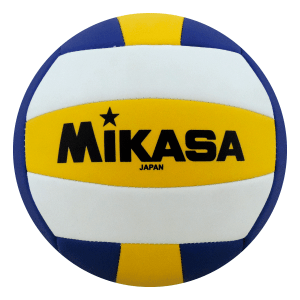 The object used for volleyball practice is just a ball (official volleyball) between the 65 to 67 cm covered with a flexible or synthetic leather cover and composed of an inflatable inner chamber or some material that resembles. Its color is clear and uniform (it can have a color interleaving), as shown below. The volleyball court is about 18 meters long and 9 meters wide, being crossed by a net, which divides it into two fields. Every field for a team. The field should be well marked with its lines and should have bright colors that highlight the field from the outside. Usually, the floor is made of wood or a synthetic material, always being very smooth. Attack Zone: It is an area with 3 meters wide next to the net that corresponds to the zone where the players can attack against their opponents sending the ball to the other side of the network.Defense Zone: This area has 6 meters wide and is where almost all balls that are batted by the attack will stop. Network:The net is in the middle of the court measuring 1 meter wide and its length varies between 9.5 and 10 meters (being then fastened to two poles outside the court, which are between 0.5 and 1 meters away from the court, measuring 2,55 meters, being they normally adjustable). The height of the net varies between genders, being that for men it is 2,43 high and for women, it is a little lower, at 2,24 meters. The net also has a white canvas stripe sewn along the top of the net with about 7 centimeters wide. Leia Mais > In Table Tennis the Service has to be Crossed? 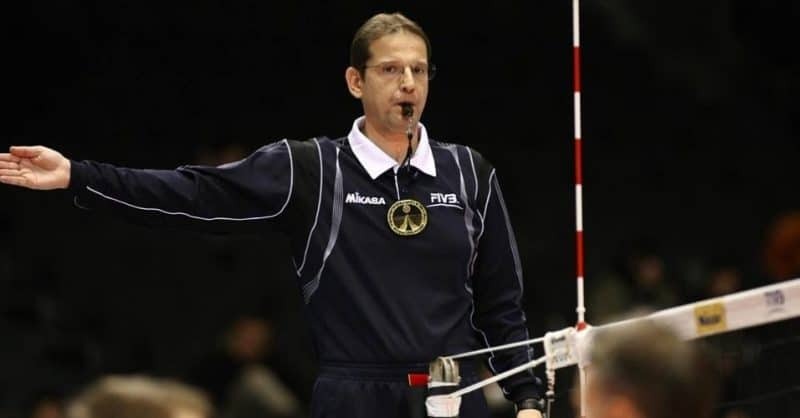 In most games, the referee has the first referee, a second referee, scorer and line judges, and in the competitions organized by the FIVB four line judges are mandatory, and usually, only 2 line judges are present in the other matches. He has the final word on all the plays that happen in the match. He is in a chair at one end of the hammock, standing or sitting. This is standing at the opposite end of the referee and has as a function to control the scorer, times, fouls, invasions and if the players are in the correct positions of the rodizio that do when they recover the service. The scorer is behind the second referee and is responsible for counting the points and the serve / serve order of the teams. As we have said, two may vary from four judges in one game. They are located in the free zone (outside the field) between 1 and 3 meters of the line having as a function to see if the ball fell out or inside the field. The game has several phases and consists of many aspects, and for this reason, we will divide by several topics so that it is easier to understand. – In case the game is tied, with each of the teams have won 2 sets, the game will jump-start a final set called Tie Break, and this set ends up with 15 points, instead of the normal 25, but there must be a difference of two points between the teams. – The ball may only be touched and never be grasped or otherwise carried by a longer stroke (as if the ball were caught in his hand), being marked by a foul by the referee and point to the opposing team. – The ball can touch the net and must be recovered before it touches the ground and the ring count remains. 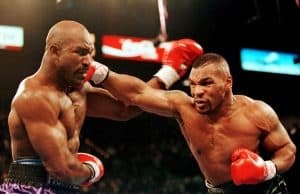 – The player has until 8 seconds after the referee whistles to serve, throwing the ball in the air and struck with the hand or another part of the arm. 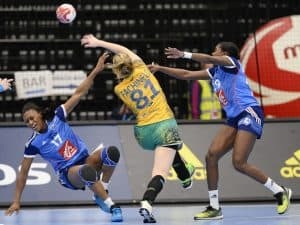 – In the blocking, the player that is making it cannot touch the ball when it is still in the opponent field and the opposing player has not yet given the touch of attack. – If the game is interrupted for some reason and has to be played at another time, the current set is canceled, the initial order of the players is maintained and the result in the previous sets as well. The players’ positions are numbered as shown in the figure above: the three players that are next to the net form the attack line and occupy the positions 4, 3 and 2. the other three players occupy the positions 5, 6 and 1. After the serve, players can move and occupy any position on their own court and in the free zone. A lack of positioning leads to point loss. When the team wins the right to withdraw, their players make the so-called rotation, advancing a position clockwise. The player in position 2 goes to position 1, and he will be the server. The player in position 1 goes to position 6, and so on. To play volleyball are used several plays or fundamentals that make up the game (such as in soccer is the kick or the header). Let’s list each one below and give a brief explanation. The Draw is the first move that is made at each point, and it is the beginning of the game. The player is positioned behind the back line of the field in any position and has the purpose of sending the ball to the opponent’s field using the hand or any part of the arm. Although there are many types of service, in modern volleyball players increasingly try to improve their services in order to send the ball with more force to the other side. When the player manages to make a direct point through the service, this move is called Ace. This is the play that is normally made immediately after the opposing team does its service or has attacked, being used to defend, preventing the ball from touching the ground. 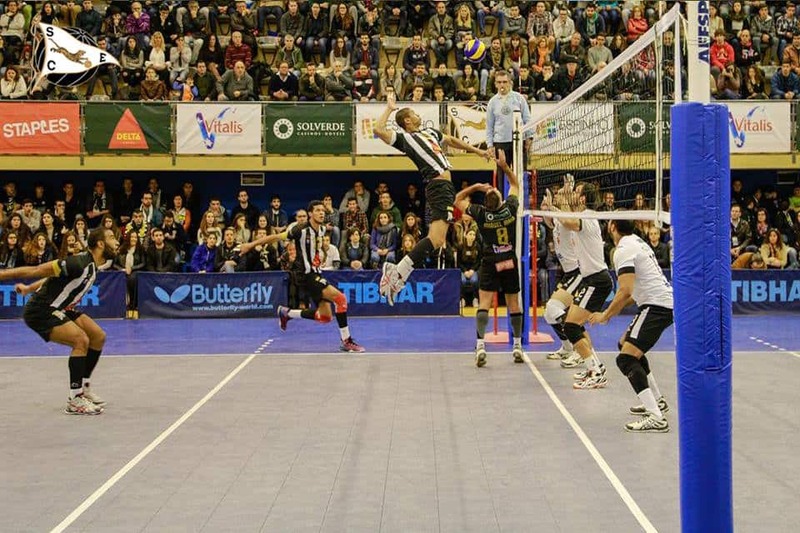 The most common position for this is the headline (shown in the image) in which the player gets better control of the ball after receiving a strong attack, aiming to send the ball in good conditions to the lifter (player in the center of the team) . This is usually done with both hands on the head and is the play that precedes the attack, with the goal of sending close to the net for someone to make the last move to send the ball to the opposing side. Attack or cut is when the player gives the last touch to the opposing field making a vertical jump and striking with enough force over the net towards the ground of the opponent field. The more moves the player is attacking, the greater the chance of being able to send the ball to the opposing field, thus avoiding the blockage. All players can attack except the libero, who can only send the ball to the opponent’s field with a headline or a touch. This is a touch of the ball, and the statistics agreed with them – possession being 74 percent. The teams went for the halftime break at 0 – opponent’s attack or to reduce its speed. The blocking can be done by 1 to 3 players at the same time (more players, the greater the chances of blocking).